We knew the move to the new warehouse was going to be good…we just didn’t know how good! 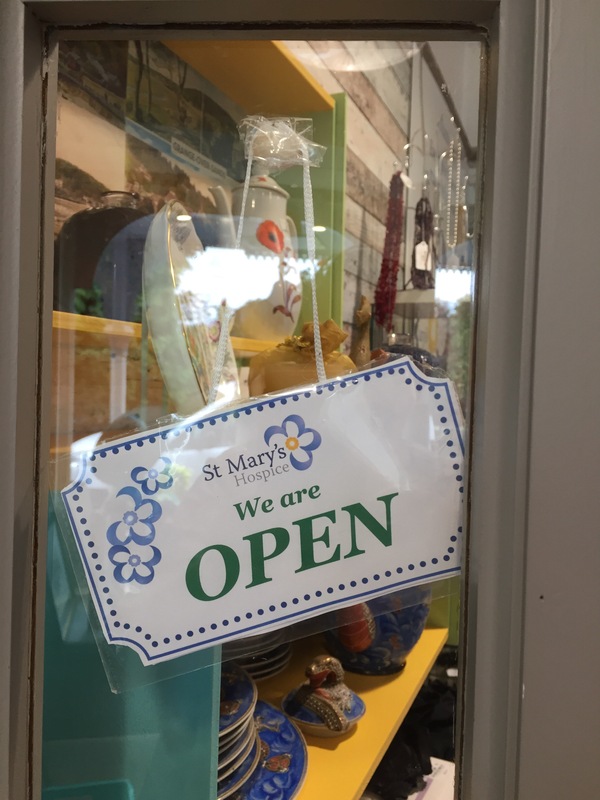 This is of course just a snap shot of what has been coming and going through the door during our first week open…between Thursday 22nd and Thursday 29th we have sold a total of 563 items…that’s just amazing! 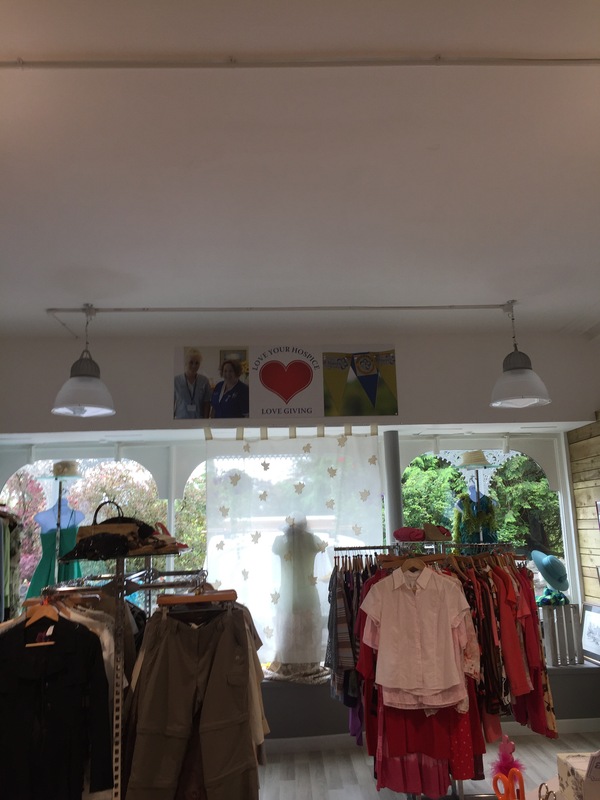 We have been so pleased to see our regular customers continue to support us…but also extremely happy at the amount of new customers joining us…thank you one and all. I think you’d agree we couldn’t ask for better feedback. Why not come take a look yourself…see if you feel the same. 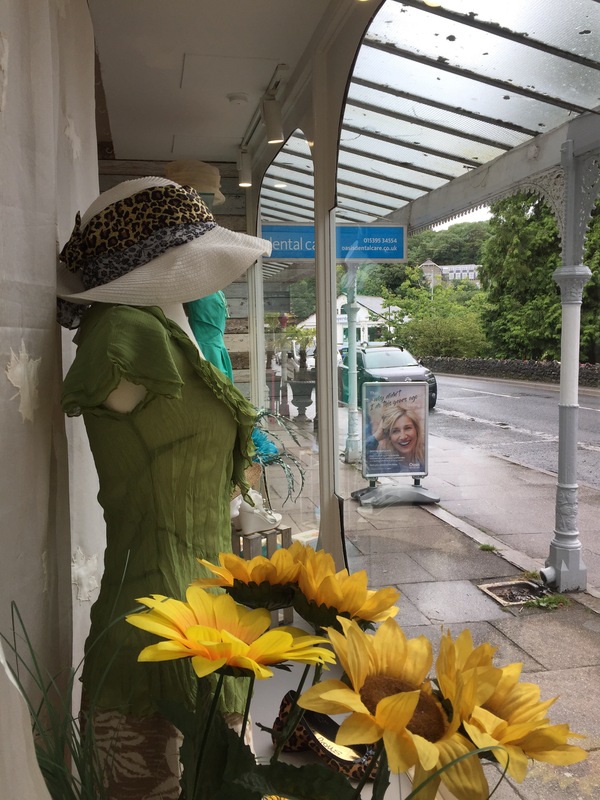 Have you ever been to Grange-over-Sands…what a beautiful little town…well worth a visit even on a rainy day. 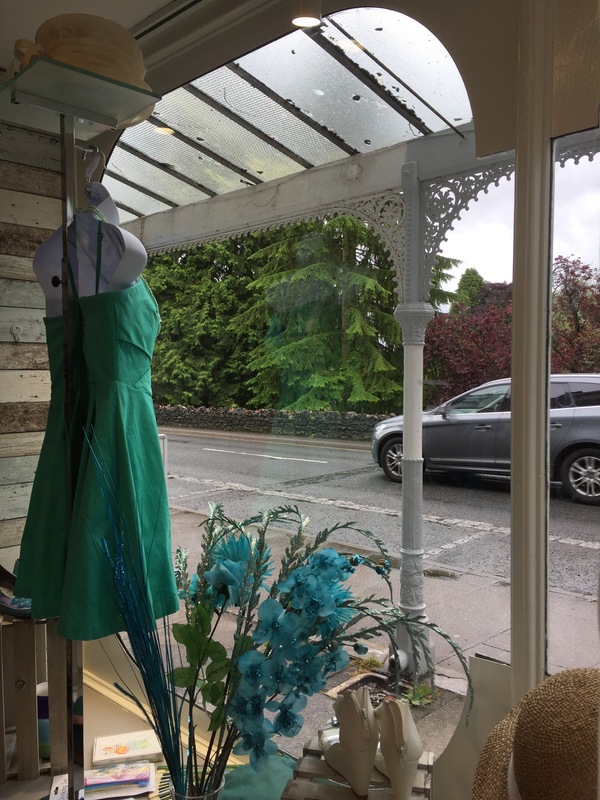 Once people visit they seem to return year after year…enchanted by it’s character…when you sit by the lake it’s easy to see why…however…I might be slightly biased…but I think the best thing about Grange is our shop and plenty of customers agree! 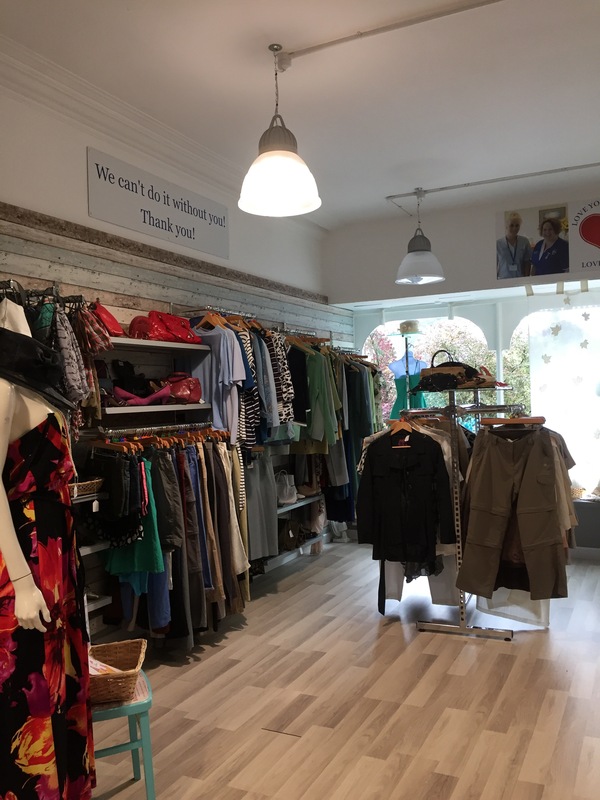 Over the last seven months our shop has undergone a transformation…it hasn’t been the easiest journey…but goodness me it’s been worth it and it seems our customers agree! WOW…one of the best in the North of England…how amazing is that? I don’t know what the weather is doing where you are…but here in Barrow it hasn’t stopped raining all day…torrential rain…the type of rain that soaks you the minute you step outside the door. 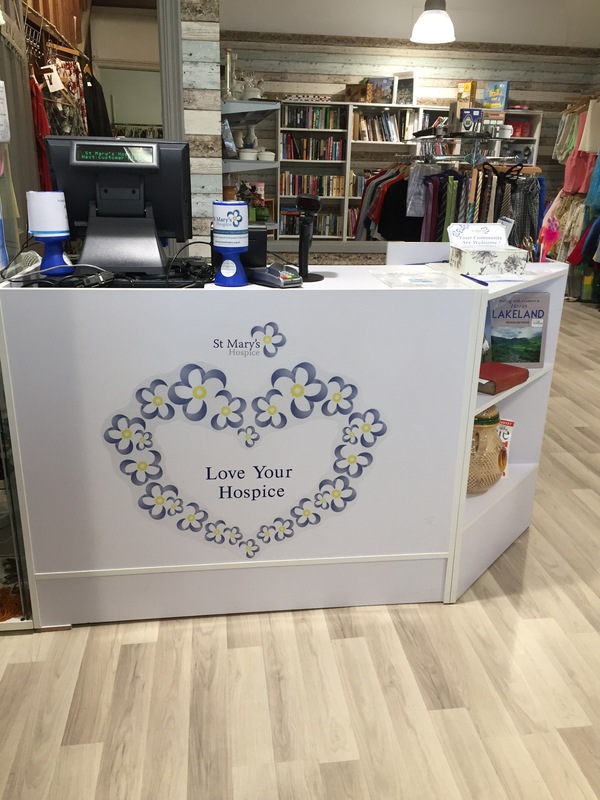 It doesn’t seem to put our customers off…come rain or shine they’re still walking through the door…supporting the hospice…picking up a bargain…or a pair of cute boots! 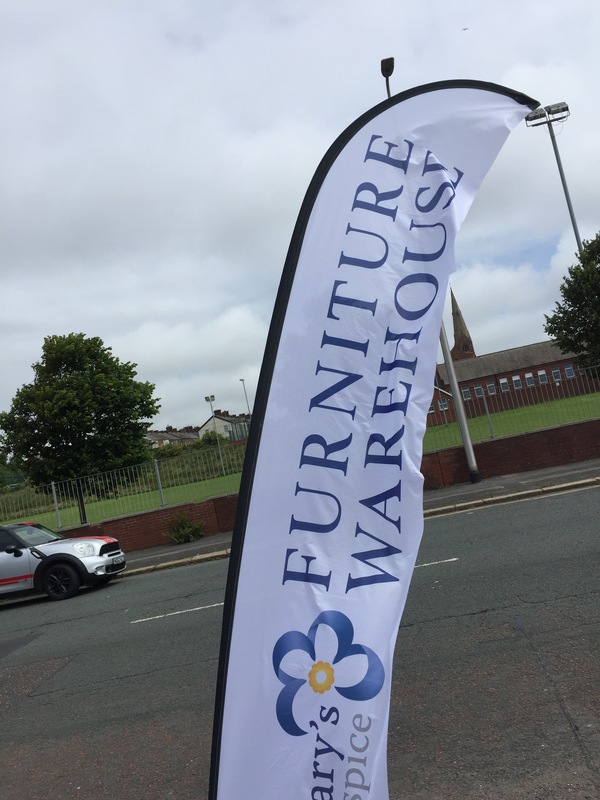 We’ve had some amazing comments from customers coming into our Dalton Road clearance shop in Barrow…people can be so kind and supportive…makes you happy to be involved. 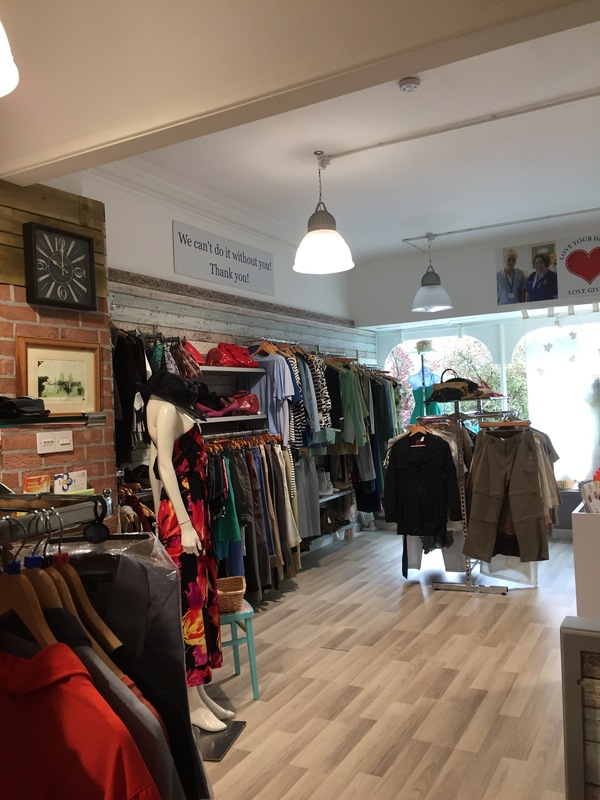 Volunteers in the Barrow shop are an eclectic mix…all walks of life…all ages from teenagers to octogenarians…that’s what makes our shops so wonderful. 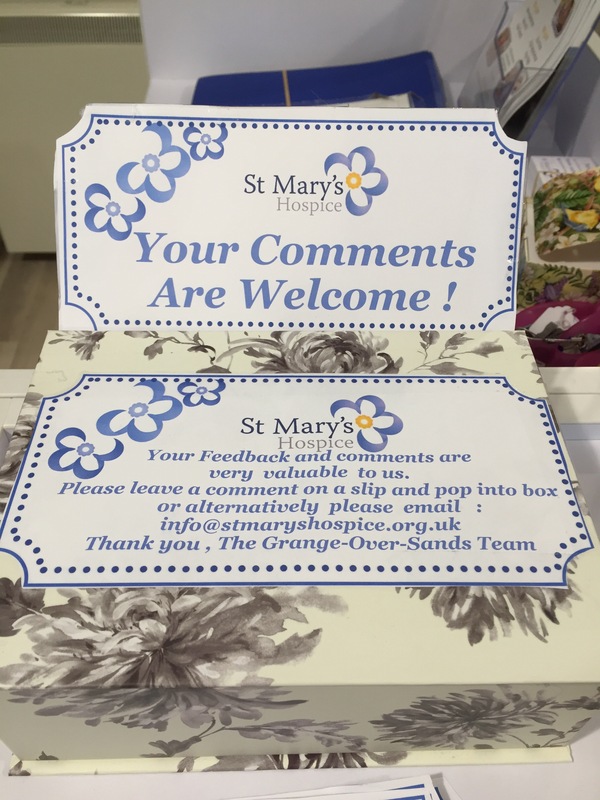 We have volunteers who have been with us for decades and those that only want to volunteer short term…it doesn’t matter…they all have something unique and valuable to offer the hospice…and we’re just so grateful they chose to volunteer with us. 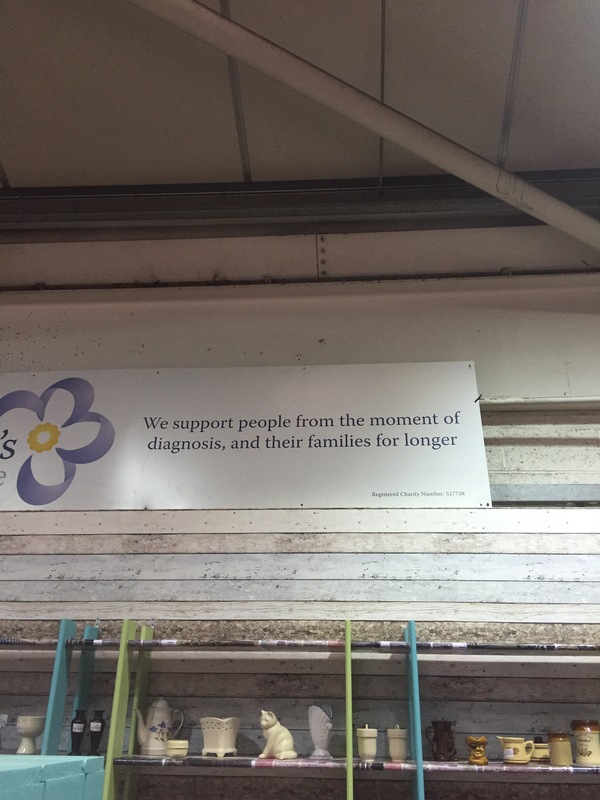 We’ve forgotten what normal is…we’ve spent so long focusing on the new warehouse that now it’s open we’re like…okay so what do we do now? What did we do before every waking moment was filled with ideas about the new warehouse? 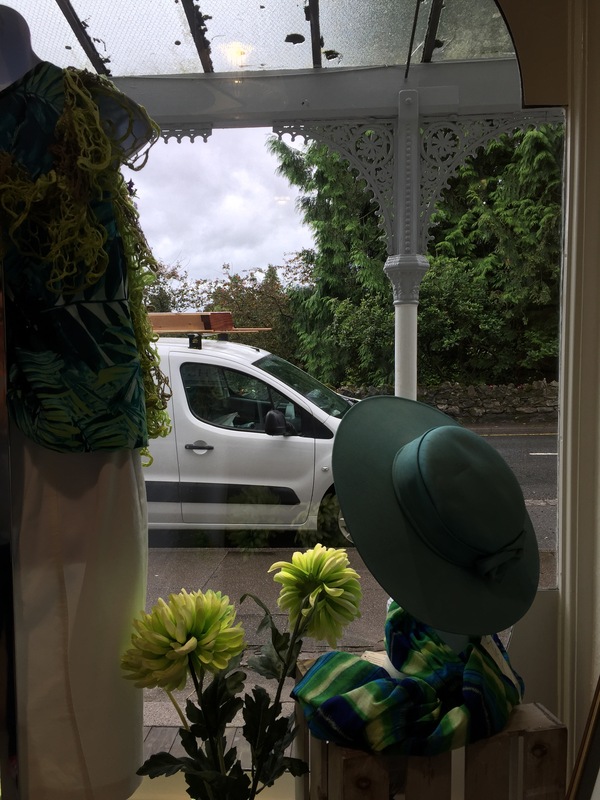 It’s a strange state to be in…my Boss and I are walking round bleary eyed thinking…right what now…I think we both need a couple of days to re-acclimatise ourselves to normal retail life! Don’t worry though…it won’t take us long to regroup…refocus and re-energise. 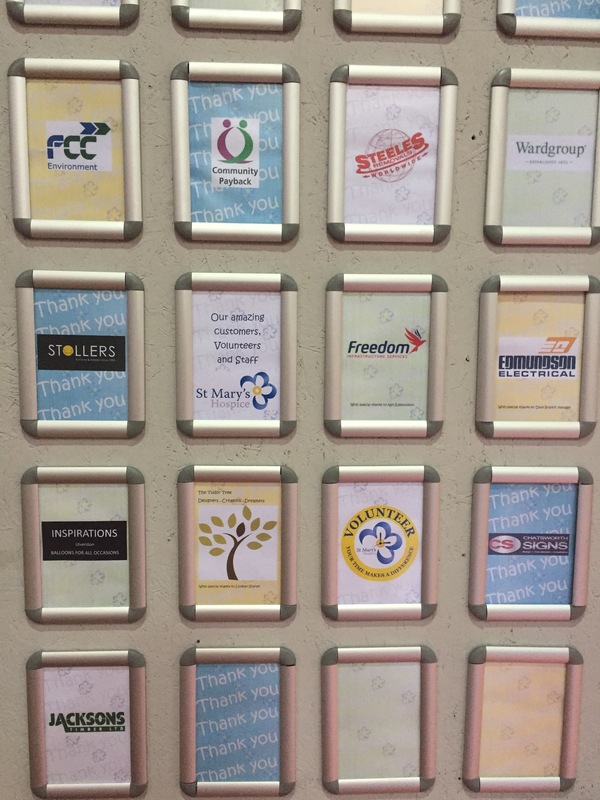 After a busy few months focused on the warehouse all that remains is to send a heartfelt thank you to all those that have helped make this project a success…they know who they are…and their names are displayed on our warehouse Thank You board for all to see…we really couldn’t have done it without them. 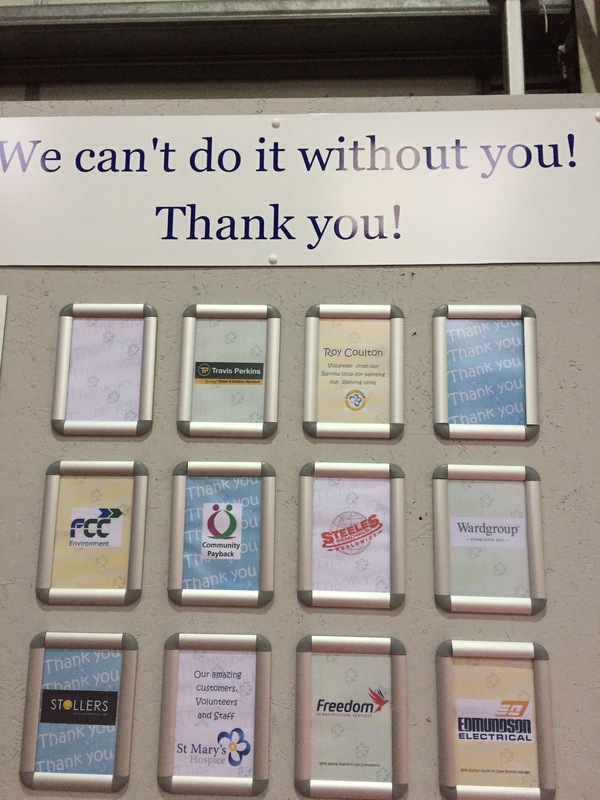 This is what it’s all about…communities…organisations…individuals…all coming together to help each other…look what can be achieved! 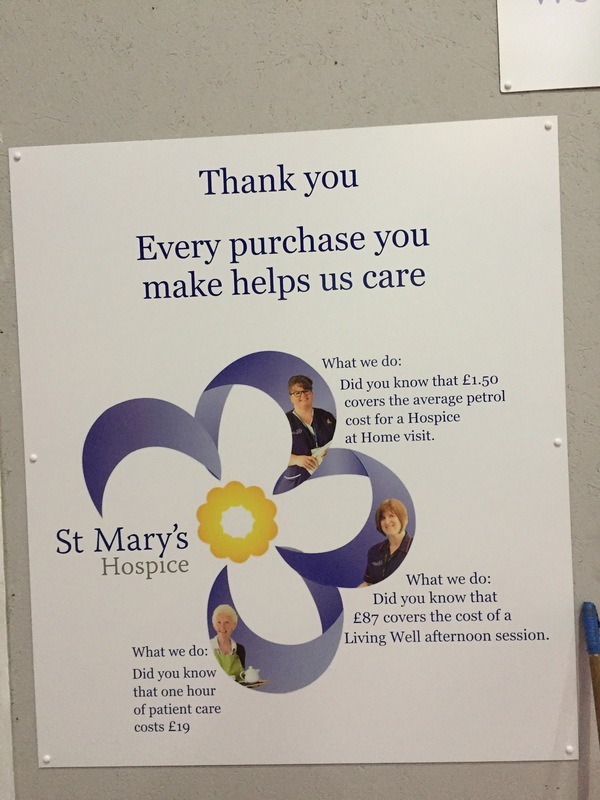 To our customers…old and new…thank you for your support…whether you donate or buy from us you definitely make a difference…St Mary’s Hospice would not be here without you.